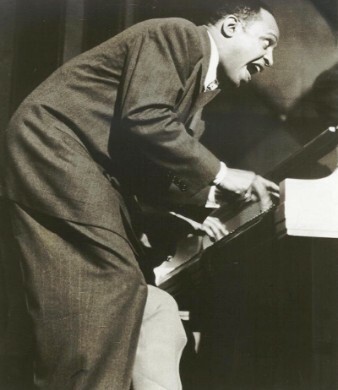 "I Want To Be Loved (But Only By You)"
Above: Photos of Lionel Hampton. The Hamptonians, his vocal/instrumental group, was soon to become The Hamp-Tones. 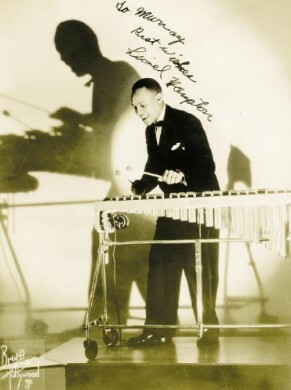 Click HERE to view an article about Lionel Hampton at the Parabrisas web site. 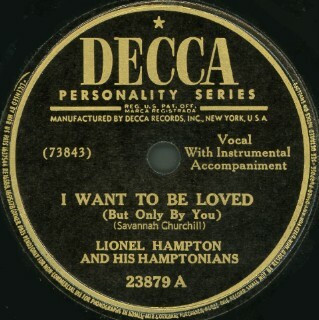 Above: Label for Decca 23879 A released in 1947. Contrary to that shown on the label, the song was composed by William "Pat" Best. Audio for this and two other versions is provided below. All three versions have "(But Only By You)" on the label, but the actual words sung on all three is "But By Only You". A) Click on an option below to listen to three versions of I Want To Be Loved using Streaming RealAudio. B) Click on an option below to listen to three versions of I Want To Be Loved using Downloading RealAudio.